Looking for an exciting event for a large group to participate in? Leavenworth rafting can be enjoyed by all different types of people and is a great way to squeeze adventure, wildlife, nature, and family time into one trip. 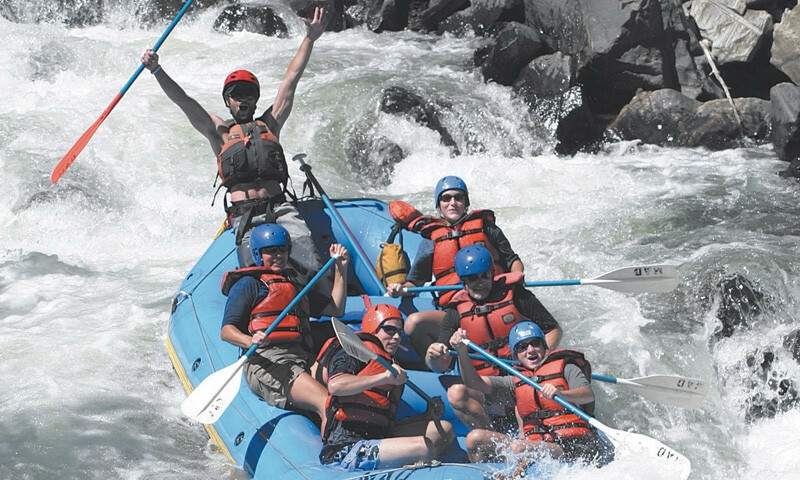 Experience the finest whitewater rafting in Washington state. Unique rafting adventure trips down the 5 Leavenworth area rivers for any level on class III+ waters. Raft, kayak, or tube down the Leavenworth area rivers for a great summer getaway. Where can I go whitewater rafting? The Wenatchee, Skagit, White Salmon, Methow, Tieton, and Columbia Rivers all have great Leavenworth white water rafting sections. You can choose which river you want based on the level of difficulty and excitement you are seeking. Perfect! We have sorted through all of the guides in the Leavenworth area to provide you with the information for the best of the best Leavenworth white water guides. Scroll through our list to help you pick a guide that will make your excursion perfect.